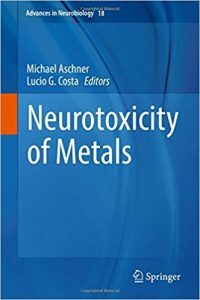 In this book, international authorities address contemporary research in metal neurotoxicity. Essential and non-essential metals play an important role in neurodevelopmental and neurodegenerative diseases. Recent developments in understanding the role of metals in the etiology of these disorders have led to rapid growth in clarifying the pathology of some of the most devastating diseases we face and in identifying potential new therapies. Few books or periodicals have been wholly dedicated to the topic of metals, and this collection is intended to serve as a resource for all researchers interested in metals and their role in health and disease. Michael Aschner is the Gray E. B. Stahlman Professor of Pediatrics and Pharmacology at Vanderbilt University School of Medicine as well as a Senior Investigator at the Kennedy Center for Research on Human Development. Dr Aschner’s research group has a particular interest in the neurobiology and physiology of astrocytes and the signaling mechanisms associated with central nervous system injury. Dr Aschner’s laboratory studies metal uptake and distribution in the brain, investigating the mechanisms of transport of methylmercury and manganese across the capillaries of the blood–brain barrier. His research utilizes various experimental models (C. elegans, tissue cultures and rodents) to understand the acute toxicity of manganese deposition in the brains of human neonates. Lucio G. Costa is Professor of Environmental and Occupational Health Sciences at the School of Public Health at the University of Washington. Dr. Costa is a renowned neurotoxicologist whose research interests are focused on understanding the role of neurotoxic substances in neurodevelopmental disorders and other neurological, neuropsychiatric and neurodegenerative diseases. Dr Costa’s research laboratory makes use of a variety of in vivo and in vitro cell culture systems, transgenic animal models and imaging techniques to study the cellular, biochemical and molecular mechanisms of neurotoxicity. The network approaches of systems pharmacology and toxicology serve as early predictors of the most relevant screening approach to pursue both in drug discovery and development and ecotoxicological assessments. Computational approaches have the potential to improve toxicological experimental design, enable more rapid drug efficacy and safety testing and also reduce the number of animals used in experimentation. Rapid advances in availability of computing technology hold tremendous promise for advancing applied and basic science and increasing the efficiency of risk assessment. This book provides an understanding of the basic principles of computational toxicology and the current methods of predictive toxicology using chemical structures, toxicity-related databases, in silico chemical-protein docking, and biological pathway tools. 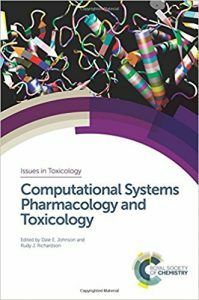 The book begins with an introduction to systems pharmacology and toxicology and computational tools followed by a section exploring modelling adverse outcomes and events. The second part of the book covers the discovery of protein targets and the characterisation of toxicant-protein interactions. Final chapters include case studies and additionally discuss interactions between phytochemicals and Western therapeutics. This book will be useful for scientists involved in environmental research and risk assessment. It will be a valuable resource for postgraduate students and researchers wishing to learn about key methods used in studying biological targets both from a toxicity and pharmacological activity standpoint. This book focuses on recent topics in metallomics, a study of the metallome, or metal-containing biomolecules. Metals can induce various physiological and toxicological effects in a very small amounts, in other words, the concentrations of biometals are very low in organisms. 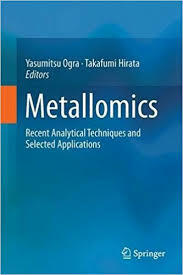 Thus, analytical techniques for a trace amount of metal are crucial to understand the biological and toxicological functions of metals.This volume begins with an overview of metallomics including the history and development of the field. Subsequent parts provide basic and advanced techniques for metallomics. Speciation and imaging of metals are basic approaches to reveal the function of the metallome. The applications of speciation using an HPLC hyphenated with inductively coupled plasma mass spectrometry (LC-ICP-MS) and flow cytometry ICP-MS are described. As advanced approaches, the applications using a micro-flow injection-ICP-MS, an ICP-triple quadrupole mass spectrometer, an ICP-sector field mass spectrometer, and an ICP-multi-collector mass spectrometer are mentioned. For the imaging of metals, basic principles and applications of several techniques such as scanning X-ray fluorescence microscopy and ICP-MS equipped with laser ablation (LA-ICP-MS) are presented. Speciation analyses using electrospray ionization mass spectrometry (ESI-MS), X-ray Absorption Spectroscopy (XAS), and nuclear magnetic resonance spectroscopy (NMR) are also introduced. The last part highlights the medical and pharmaceutical applications of metallomics. Molecular biological approaches to reveal the effects of toxic metals, metal functions in brain and neurodegenerative diseases, and metallodrugs are explained. The topic of metal transporters is also presented. Franz-Xaver Reichl studied Microbiology and Medicine in Munich, Germany. He is Head of the Department of Dental Toxicology at the Department of Operative/Restorative Dentistry, Periodontology and Pedodontics, LMU Munich and Head of the International Advisory Centre for the toxicology and biocompatibility of dental materials. His field of research cover studies on cytotoxic, mutagenic, carcinogenic and embryotoxic effects of chemical compounds (e.g. dental materials) in human and animal cells, abrasion of composites and elution of dental composite components during the chewing situation in the chewing simulator MUC/3 and in vitro- and in vivo studies on toxicokinetic and toxicodynamic effects of chemical compounds (e.g. dental materials). He also work on studies on the pathways and on the analysis of intermediates in the metabolism of dental composite components in biological systems and risk assessments of xenobiotics (e.g. dental materials). Michael Schwenk studied Biochemistry and Medicine in Tuebingen, Germany. He then qualifiedas a toxicologist and pharmacologist and worked in universities, industry and a health agency. He initially focused on experimental cell toxicology, but later shifted to the measurement of chemical residues in humans and to study the health effects of such exposures in different populations. He was active in various national regulatory committees, advised the colleagues of the public health service of Baden-Württemberg and received practical experience in all major areas of regulatory toxicology. Extracted from the Drug Abuse Handbook, 2nd edition, to give you just the information you need at an affordable price. Postmortem Toxicology of Abused Drugs considers the role of toxicology in the investigation of homicide, suicide, accident, natural death, and overdose. It gives practical insights and case reviews on conducting toxicology tests and completing toxicology reports. It explains chain of custody; specimen collection and security; sampling of blood, urine, bile, and vitreous humor; and the selection of post-mortem specimens. Analyzing various testing procedures, the book covers simple chemical tests, microdiffusion tests, chromatography, spectroscopy, and more. It also discusses methods and strategies for analysis; and covers quality assurance protocols and controls. To help avoid common pitfalls, the text demonstrates the proper interpretation of postmortem drug levels based on knowledge of pharmacokinetics, metabolism, and pharmacogenetics; post-mortem redistribution and diffusion; and other considerations such as synergistic toxicity, and drug instability. Heavily referenced and containing several tables, figures, and useful appendices, this book is a handy reference for forensic scientists and medical examiners involved with death investigation. 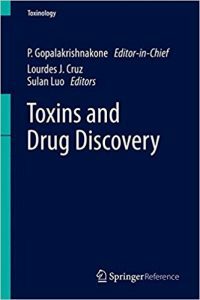 This volume deals mainly with the specialized aspect of toxins and drug discovery. Man has been using natural resources especially plants to treat diseases from very early times in history of mankind. Although many drugs derived from plants and microbes have been discovered and being used in clinical practice, not many drugs have been developed from venoms and toxins although many laboratories worldwide are actively working on it. This volume describe some of the recent developments in this research area, such as snake venoms, conotoxins , bioinformatics in drug discovery from peptide toxins. 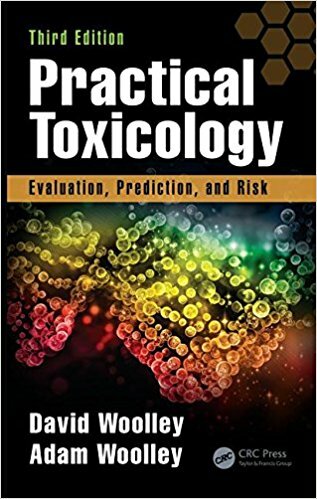 Practical Toxicology: Evaluation, Prediction, and Risk, Third Edition shows how to conduct a program of safety evaluation and testing and then to interpret and apply the resulting data and information in the real world, beginning with the basic concepts in toxicology and progressing to the interpretation of the resulting data. Revised and updated chapters on risk assessment guide the reader to setting the foundations necessary for submission to regulatory authorities. 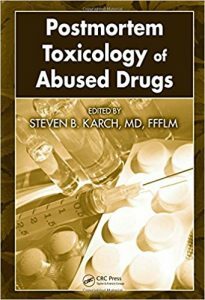 In addition, a new chapter in the book reviews the errors in toxicology, mistakes, misuse, mismanagement, and misunderstanding with a view to avoiding these in the future. Safety Assessment of Extractables and Leachables. 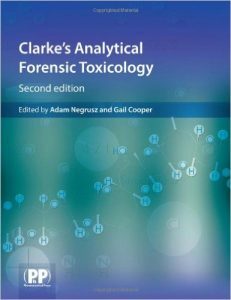 This new edition follows a practical sequence from introducing the basics of toxicology (including the vital concept of normality in controls) to describing a test program and then interpreting the data and translating that to risk assessment that can be used in a number of real world situations where safety and secure risk assessment are essential. Although written primarily from the perspective of pharmaceutical development, the test designs and toxicological problems encountered in that field are entirely relevant to those with other classes of chemicals, the only difference being the regulatory context. 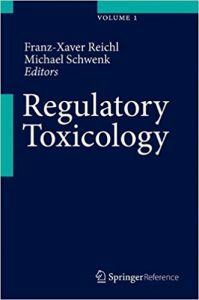 Toxicology is an international discipline and the book has been written to take into account some of the differences in regulatory nuance between the main regions of the world. Completely revised and written in an easily accessible style, the text address several audiences―from students and post-graduates coming to the subject for the first time to established professionals who find themselves needing to learn about toxicology, toxicity testing, interpretation of the results, and risk assessment. It is intended primarily as a textbook, with case studies and information on where to go to ask questions, but can also be used as a practical reference book. It covers all the basics of toxicology and the main aspects of safety evaluation testing and risk assessment while reviewing critically the current state of the discipline. It also provides a foundation for those seeking registration or certification. 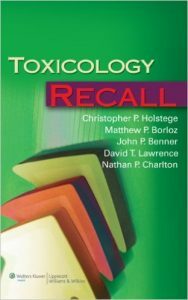 Written primarily for third and fourth year medical students, Toxicology Recall is a complete, concise review of clinical toxicology. The book is written in the rapid-fire question-and-answer format of the Recall Series, with the question appearing on the left side of the page and the answer appearing on the right. Mnemonics and reference charts further aid in rapid review. Major sections cover evaluation of the poisoned patient, medications, drugs of abuse, environmental and industrial toxins, heavy metals, pesticides, chemical agents of terrorism, natural toxins, therapies, and visual diagnosis in medical toxicology. 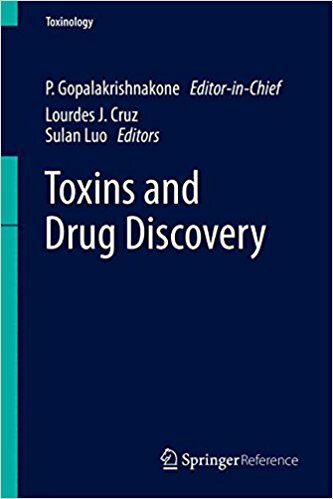 This invaluable textbook, written by international experts, covers all the main elements of forensic toxicology and analytical toxicology techniques as well as the important parts of pharmacokinetics, drug metabolism, and pharmacology in general, with a particular focus on drugs of abuse. 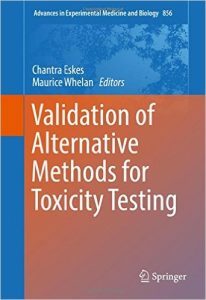 This book provides information on best practices and new thinking regarding the validation of alternative methods for toxicity testing. It covers the validation of experimental and computational methods and integrated approaches to testing and assessment. Validation strategies are discussed for methods employing the latest technologies such as tissue-on-a-chip systems, stem cells and transcriptomics, and for methods derived from pathway-based concepts in toxicology. Validation of Alternative Methods for Toxicity Testing is divided into two sections, in the first, practical insights are given on the state-of-the-art and on approaches that have resulted in successfully validated and accepted alternative methods. The second section focuses on the evolution of validation principles and practice that are necessary to ensure fit-for-purpose validation that has the greatest impact on international regulatory acceptance of alternative methods. In this context validation needs to keep pace with the considerable scientific advancements being made in toxicology, the availability of sophisticated tools and techniques that can be applied in a variety of ways, and the increasing societal and regulatory demands for better safety assessment. 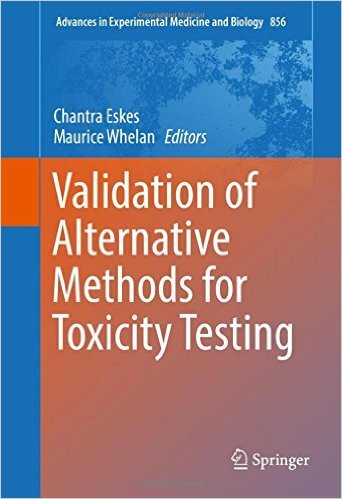 This book will be a useful resource for scientists in the field of toxicology, both from industry and academia, developing new test methods, strategies or techniques, as well as Governmental and regulatory authorities interested in understanding the principles and practicalities of validation of alternative methods for toxicity testing.